Prayers for the Lily Tinsley HELP!! URGENT UPDATE!! HELP SAVE LILYS LIFE!! SIGN THIS PETITION ASAP!! "Prayers for the Little Warrior Lily"
Lily drowned in the pool on January 21. Her heart stopped beating for almost 2 hours. She is at Arkansas Children’s hospital and is in very critical condition. During her first 24 hours at children’s hospital she has stabilized her blood pressure, heart rate, and taking breaths on her own!! Her pupils respond to light and we really feel like she is starting to respond to us talking to her. We are standing in faith that this baby WILL be healed and will lack nothing when her healing manifests!!" 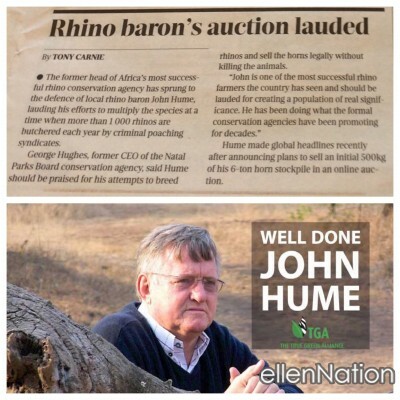 The man who chose to spend his life savings to help save rhinos for future generations.